Pretending to speak French since 2009. 1. ride a traditional road bicycle on surfaces that typically warrant the use of knobbie tires, flat bars, and sometimes suspension : its fun to see dual-suspension mountain bikers’ strange looks on the trails as we underbike. 1. a bicycle with a light frame, drop bars, slick tires, multiple gears, suitable for ordinary roads, but instead ridden on fire roads, trails, singletrack, sand, and rocks : let’s put some 35mm road tires on there, we’ll have ourselves an underbike. 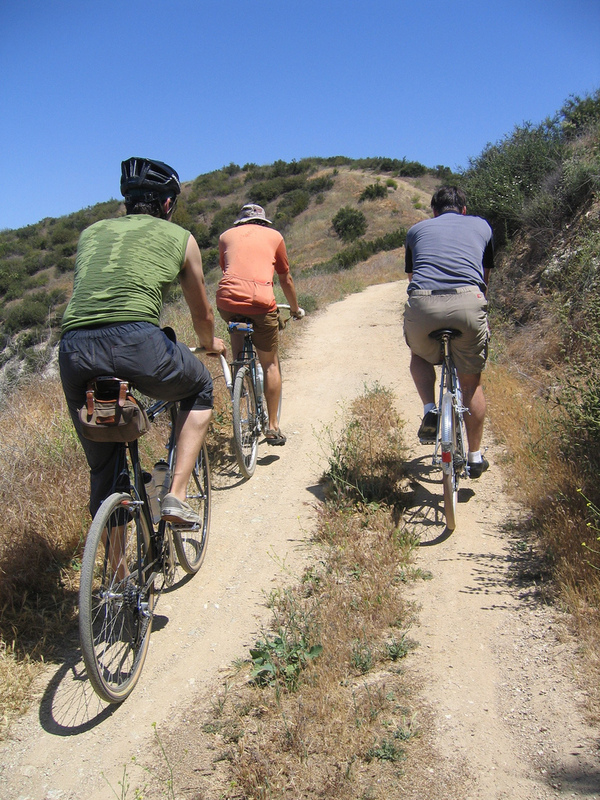 Underbiking used to be called “bicycling,” long before the logic of marketing dictated design. Since then, the tried-and-true technology of bicycling has been replaced by gimmicky bells and whistles (although without the actual bells), and the industry has divided bikes and components into highly specific uses. Can you spot the “mountain” bike in this photo? Can you spot the \”mountain\” bikes? 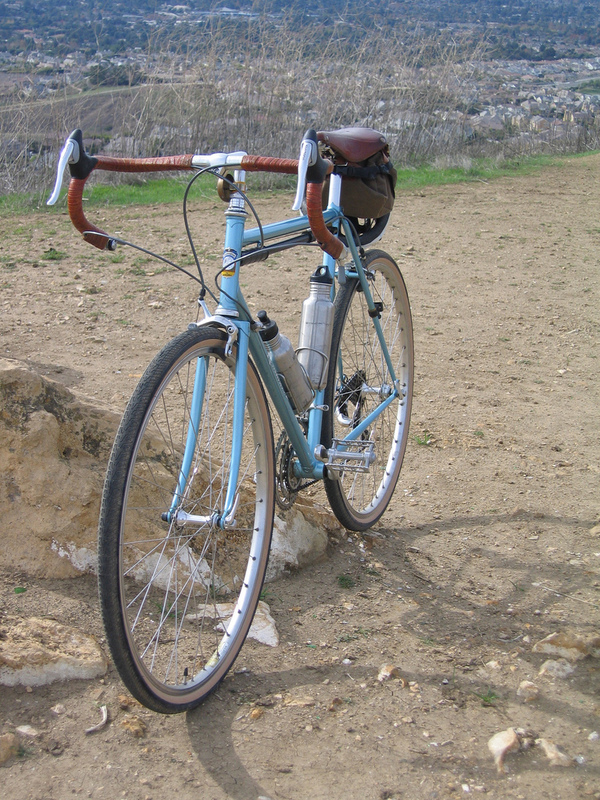 Before all this nonsense, Raleigh DL-1s would ramble along dirt roads with 28” wheels and French cyclotouristes would ride their 650B randonneur bikes on long rides through the mountains. In other words, people rode bicycles around long before most roadways were paved. 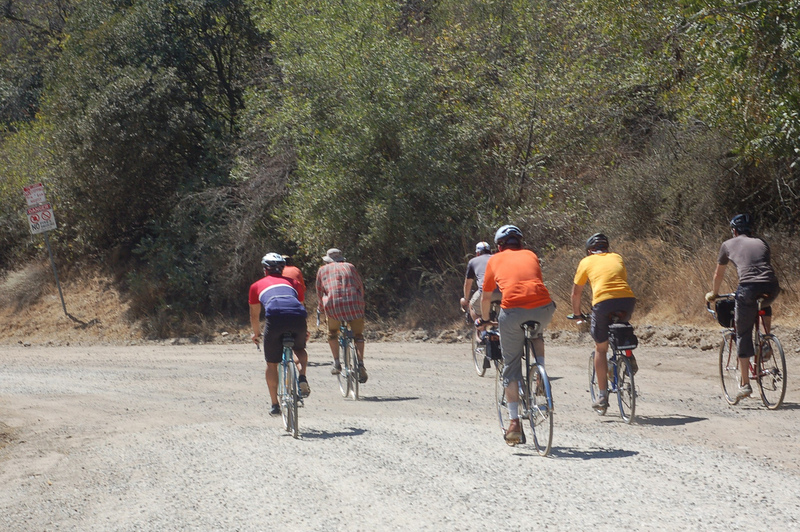 In fact, roads in the U.S. were originally paved in order to facilitate bicycle travel. But that’s another story. 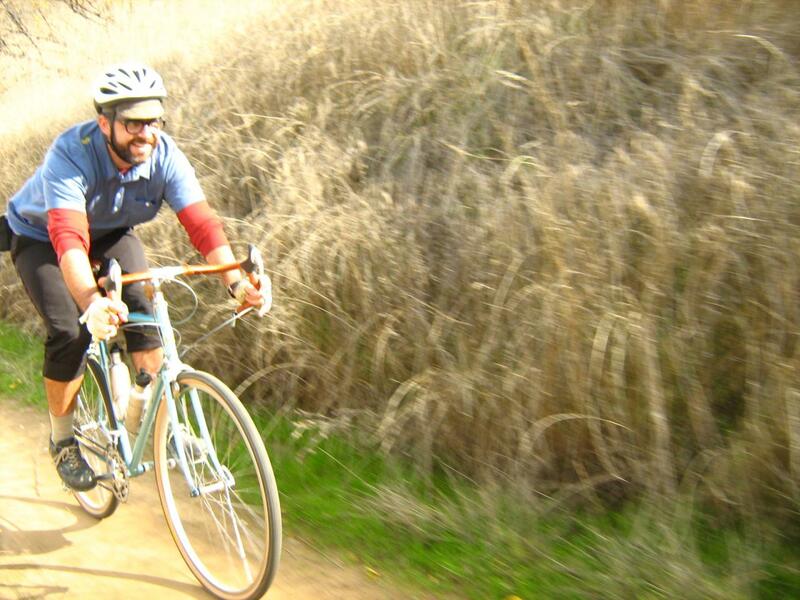 Even the mountain bike pioneers of Marin in the 70s took modified Schwinns on singletrck. 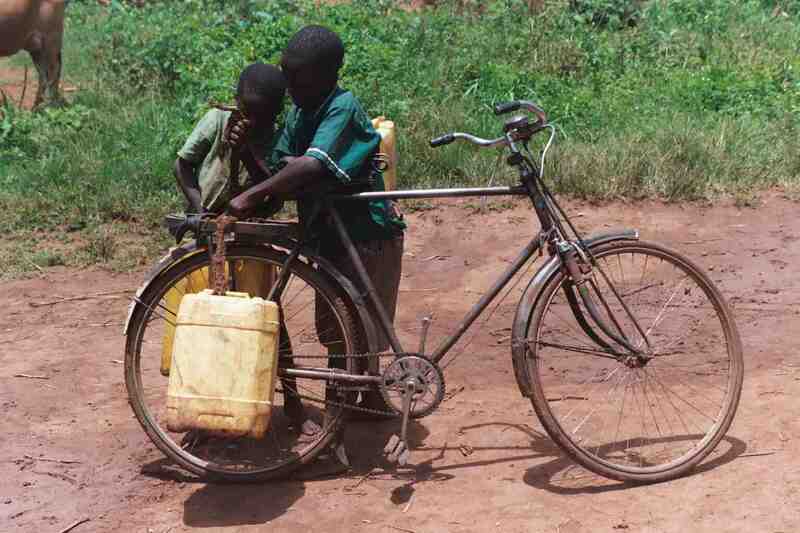 Still today, much of the world rides ordinary bikes on off-road surfaces. Considering the kind of riding that takes place in underdeveloped nations, underbiking may be the most wide-spread type of cycling in the world. 1. 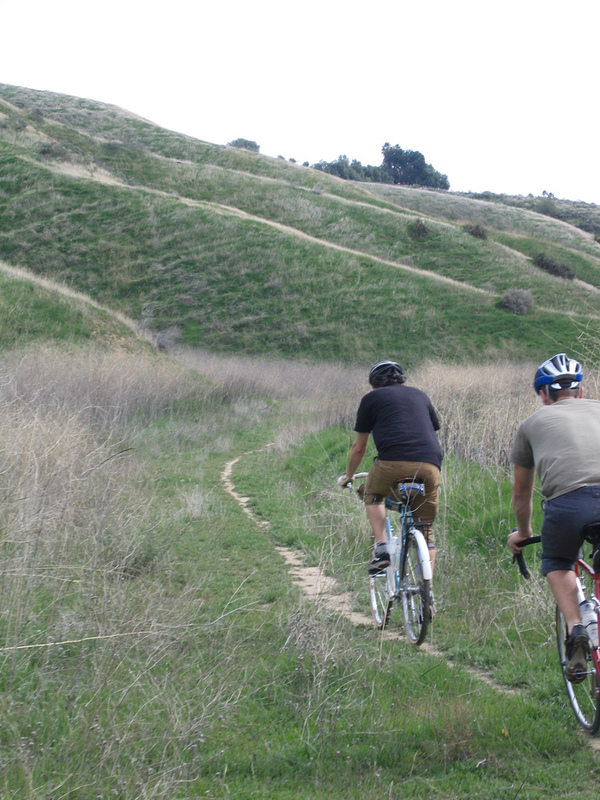 Mellow trails are more challenging and exciting on an under-equipped bicycle. For me, smugness is huge. Not so much smugness with an attitude or aimed at anyone, but smugness in the sense of knowing a secret about what fun is and seeking to share it with friends. I have to disagree with you on the suspension for mountainbiking issue. Unless you are racing downhill you can tackle anything on a rigid bike. I’ve never had suspension and it doesn’t slow me down at all although the shoulders, hands and wrists get a work-out on a long ride. Forgot to mention those photos just make me want to abandon the kids and hit the “dirt” road immediately. Thanks, Antoine. I agree with you to a degree on suspension – I wrote this quickly and have edited my comments “I do believe that a lot of singletrack requires suspension and knobbie tires ” to “some singletrack requires knobbies and suspension helps from getting too beat up” — that’s more what I believe. I think Kostman was just being a bit provocative with the original essay – I agree with him in spirit. So… abandon the kids and get out there! I say this as I have a baby balanced on my knee and the 4 year-old is tearing up the house. A corollary to point 5 smugness is the inner giggle I feel whenever someone on a “serious” MTB drops their jaw and exclaims “What are you doing out here on that?”. “Same as you, just enjoying the ride.” They just can’t believe anyone would even think about leaving the pavement with less than full suspension, knobbly tires and disco brakes. I believe that the more technologically advanced that a bicycle gets, the less respect that the rider of that bike has for the terrain. I get out on a bike to enjoy life and slow down for a bit, especially when I’m off road, not see how fast I can get there and how hard I can get my heart to pound. BTW, Is it even possible to consider a Rivendell Atlantis as an under bike? Ever? Now I know why, despite many bikes since, my old Bontrager cyclocross remains one of my favorites! Love this discussion. Love it! The proper bike for anything is the one you’re riding. One of the greatest joys of the s24o is riding out of your driveway into adventure and not strapping your special bike to an expensive car rack. Just roll. Save time, save money, be smug. Underbike! A wet blanket on all of you. Smugness is deserving of a smack in the mouth. Just ride whatever damn bike you happen to want to on that day and shut the hell up about it. That is the way to have a Good Time. Not having to be one up on someone else because_________. Just ride. “Just ride whatever damn bike you happen to” – that’s kind of the point of underbiking. Because if there’s one thing the cycling world needs, it’s another tribe and more smugness. Underbiking is really about not being afraid to take your road bike on dirt once in a while (read the Riv Reader where Grant coins the term). 35s for easy doubletrack are NOT underbiking. 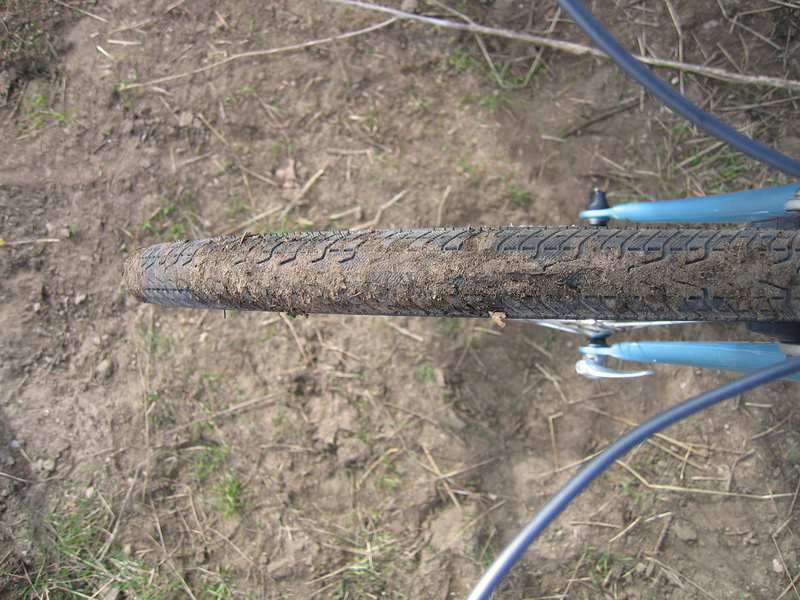 Riding that old road bike on trails with 27×1.25s is underbiking, but putting 35s on it makes it a cyclocross bike. Real underbiking is fun for a mile but after 30 it can get painful and frustrating, so you really want a rightbike for the riding you do most (and sometimes that’s a mountain bike). A Rivendell with 650Bx42 slicks is definitely an overbike. Folks, the “smugness” was meant to be sarcastic. A smug sarcasm, no less. I’ve been looking for an underbike for some time. Spiny Norma is right. Underbiking for a mile is fun, 30 not so much with the wrong bike. 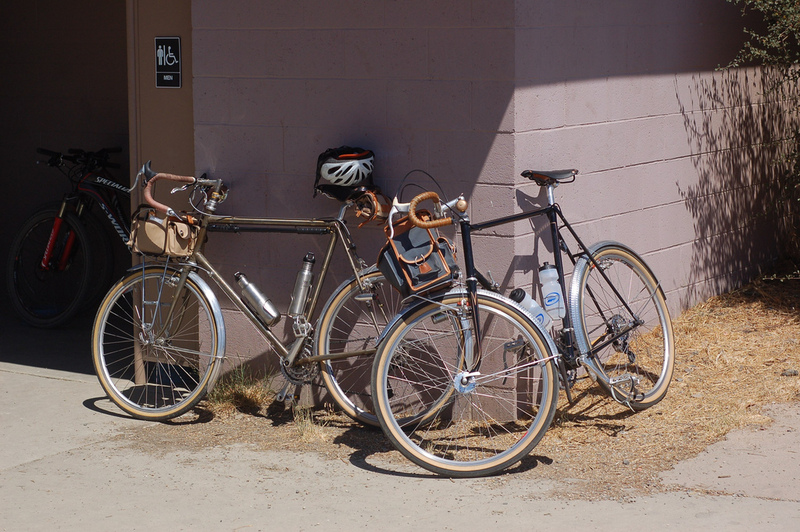 I’ve done both: Rivendell Quickbeam Single-speed fun until the hills/wind of Colorado; road bike fun until rivulets and loose sand. I do this regularly w both my QuickBeam and Rambouillet. The QB gets extra stares due to single speed. Will be down to just one bike, the Ram, in a year. Will run 35s and ride wherever I want.